Solar powered cars are already making their way into business plans of many automakers. A couple benefits from solar-powered vehicles are that they aren’t as loud as a general engine would be because it runs on the sun’s light. They also do not emit greenhouse gases, which can help decrease pollution. So how does a solar-powered car work exactly? We see many solar panels sitting out in the sun, and wonder how they are using the sun’s light to create energy. Photovoltaic cells are used by solar cars to convert sunlight into energy. These solar panels harness energy from the sun and convert it into electricity. 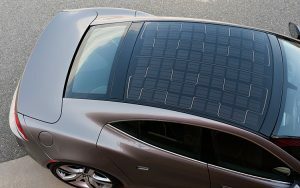 As these solar panels are connected to cars, whether placed on top or built into the roof, the power collected can be directed straight to the electric motor of a car, fueling the battery. Within these solar panels, silicon semiconductors absorb the sunlight, freeing and flowing electrons to generate electricity. Now imagine you have a day or two off of work and you plan on staying home. If you have a solar powered car, you can leave it outside to charge up in the sun during the day. It will be ready to go when you are off to run errands or planning to have a date night. Though automakers have not made a wide availability of solar panel cars to the public yet for purchase or lease. 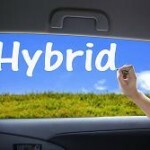 There is plenty of great hybrid cars available for lease to the public. For more information on finding the best car lease deals or to learn how you can have a successful car lease trade, visit Swapalease.com or contact them at 866-SWAPNOW. You are thinking of getting a car in your possession to get to work, school, or any other reason that requires a car. You may not be ready to finance or lease a car straight away, but you still need a car. What can you do? There is the option to take over a lease. What Does It Mean To Take Over A Lease? Taking over a lease can be considered as a “lease trade”, “lease swap”, or a “lease assumption”. Taking over a car lease leaves you the responsibility of taking care of the car and the remaining payments left on the lease. Drive an expensive car for less: Since you will most likely take over a lease that only has 2 years left on a lease, you can have the luxury of driving an expensive car for way less than half the price. — Example: If you assume a lease of a $30,000 car that has only two years of payments left on it, let’s say, $110 a month, that leaves you with only $2,640 to pay on the car. Talk about a deal! Request a vehicle inspection report from the lessee’s dealer. If they do not provide a report, you can go online a request a free car history report by providing the *Vehicle Identification Number (VIN). — Terms of the lease should reflect the miles you have available for use and should not reflect that of the previous lessee. 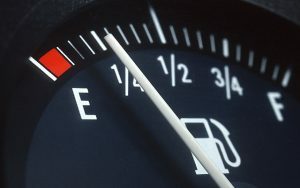 — If the miles on the car before takeover are beyond what it should be for the month you takeover, you can possibly get an extension and have extra miles added. * VIN should contain 17 characters without the letters I, O, or Q. If the VIN contains less than 17 characters or any of the three letters stated, it is very likely the VIN has been altered, and it should not be in your possession. 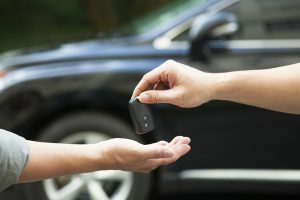 Not only does Swapalease.com help auto consumers lease cars, they also can help consumers takeover car leases as well! So you have been with your leased car for a long while and the time has come. Around the 45 to 60-day mark, before your car lease ends, it is the time to decide what you want to do with your leased car. If you are unsure of what to do at the end of a car lease, here are five options available. Return your leased car to lessor: You have the option to return your leased car to the lending company and end your lease officially and taking the car off your hands. Buy-Out-Car: Do you really like the car you leased and want to buy it to have forever? Well, you can. When you buy-out your car, it will cost you the “residual” amount, the value set in the lease. 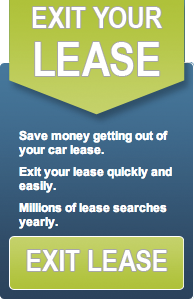 Extending Lease: Do you need a couple more days or months with your leased car until you have another vehicle to use? You may extend the lease for a limited amount of time for the same monthly rate (typically). Re-Leasing: So you want to keep the same car but don’t want to buy it or figure out how to extend your lease. You can re-lease the car, but as a used-car lease instead. You can possibly get a better deal this way! Stay With Company: Throughout the duration of your lease, you really have enjoyed how the company has handled your lease. At the end of your lease, you want to lease again, but you want a different car. You can trade in the car you leased and get a new lease and a new car. 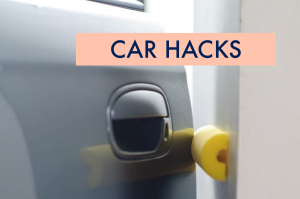 Fortunately, you don’t have to be stuck in your lease. Swapalease.com is the largest online lease marketplace and they have what you’re looking for. Functioning as a sort of matchmaking service for cars, Swapalease.com helps individuals get more car at an affordable price. The online marketplace has vehicles and customers in every state in the continental United States and Canada. For more information on finding the best car lease deals or to learn how you can have a successful car lease exit, contact Swapalease.com at 866-SWAPNOW. What Happens To A Car Lease After The Lessee Passes Away? There are the unfortunate situations where the lessee of a car passes away. What happens then? Who takes care of the lease? Is it swept under the rug? If there is a co-signer in the mix, there is a possibility that they will be given the responsibility of taking care of the remaining monthly payments of the lease. But what if there is no co-signer? 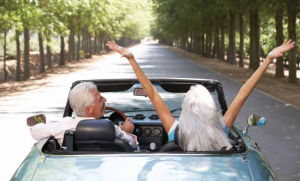 If the deceased has left behind a spouse, they may be notified of the outstanding balancing left on the car lease. The contract on the car lease that deceased signed should be read over carefully, looking for the leasing company’s terms in an ending a lease early. Early termination fees can also apply. There is the responsibility of the executor of the deceased’s will. The executor distributes the deceased person’s property based on the will and arranges for the payment of debts and expenses. They will contact leasing company, informing them that the lessee has passed. 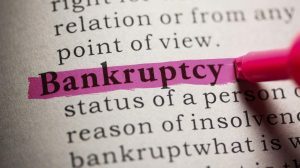 The estate of deceased will most likely have a claim filed against them, though there is a small possibility of the estate being able to break the lease on behalf of the primary lessee, that possibility usually comes with a cost. Once leasing company has filed a claim, the executor can pay off the balance through the estate funds. After the claim has been paid, a call should be made to the leasing company to return the leased car. 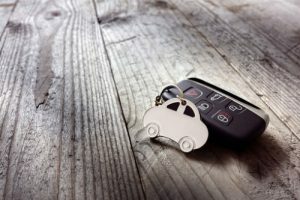 Even if the outstanding balance of the car payments are not paid, expect there to be additional fees such as process repossession paperwork, cutting new keys, and reconditioning chargers for any excessive wear and tear. 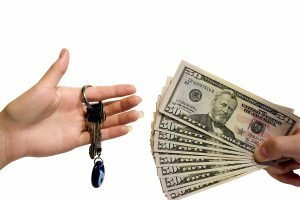 Getting out of a lease is tricky, but what is trickier is the lessee passing away and figuring out who will be handling their lease payments. Swapalease.com is the world’s largest automotive lease marketplace and the pioneer in facilitating lease transfers online and doing their best to accommodate situations where the lessee, unfortunately, passes away. For more information on finding the best car lease deals or to learn how you can have a successful car lease trade, visit Swapalease.com or contact them at 866-SWAPNOW. As you pick out your new car, there is the option to pay in full, upfront and drive home with no worries. The option to make this one large single payment is also an option for a leased car upon signing. Paying the entire amount of the lease up front rids of the concern of making late payments and ruining credit. Within this single payment option, there are two approaches to this option. In this approach, you will pay for the depreciation value of your car, sales tax, and the total amount of monthly payments upfront. You will still need to pay interest on residual but will not have to pay interest on depreciation. Monthly payments would be computed by leasing company that will include sales tax, then multiplied by that number by entire leasing term to calculate. This approach is easier to compute, where you are paying the same amount of lease if all monthly payments were added up. As paying off your leased car upfront seems like the way to go, putting all that money down at signing can all go down the drain if the inevitable happens, like if your car is stolen or is totaled. The insurance company will only cover the market value of your car. Now that you got a little insight on this option when getting your leased car, be sure to review all your options for the best deal possible. Luckily, Swapalease.com can help! Swapalease.com is the online marketplace with vehicles and customers in every state in the continental United States and Canada. For more information on finding the best car lease deals or to learn how you can have a successful car lease trade, visit Swapalease.com or contact them at 866-SWAPNOW.